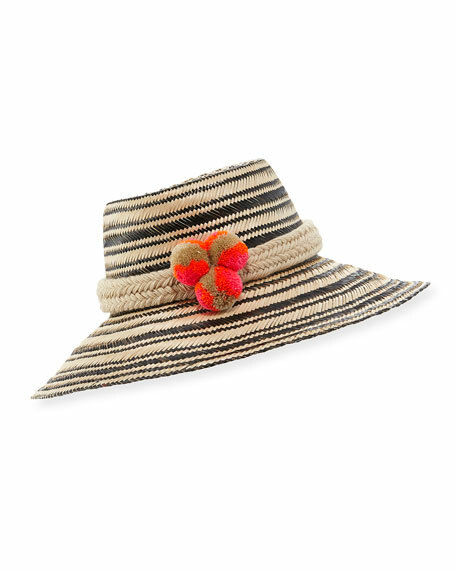 Guanabana Handmade "Guajiro" sun hat in stripes, made of Mawisa palm fibers. Braided hat band with pompom and logo detail. Flexible brim can be turned up or down. For in-store inquiries, use sku #1855582.